Freshwater scarcity is a problem in many areas of the world and will become one of the most sensitive environmental issues in coming decades. Existing life cycle assessment (LCA) methodologies generally do not provide assessment schemes or characterization factors of the potential environmental impacts of freshwater use or freshwater resource depletion. These assessments therefore do not account for the significant environmental consequences of the loss in quality and availability of freshwater. This paper aims to develop a framework to address this methodological limitation and to support further quantitative modeling of the cause–effect chain relationships of water use. 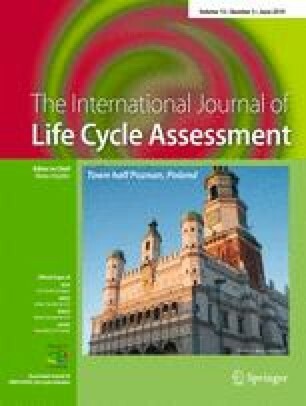 The framework includes recommendations for life cycle inventory (LCI) modeling and provides a description of possible impact pathways for life cycle impact assessment (LCIA), including indicators on midpoint and endpoint levels that reflect different areas of protection (AoP). LCI of freshwater use aims to quantify changes in freshwater availability. The key elements affected by changes in availability are sufficient freshwater supplies for contemporary human users, ecosystems, and future generations, the latter referring to the renewability of the resource. Three midpoint categories are therefore proposed and linked to common AoP as applied in LCIA. We defined a set of water types, each representing an elementary flow. Water balances for each type allows the quantification of changes in freshwater availability. These values are recommended as results for the LCI of water use. Insufficient freshwater supplies for contemporary human users can mean freshwater deficits for human uses, which is the first midpoint impact category ultimately affecting the AoP of human life; freshwater deficits in ecosystems is the second proposed midpoint impact category and is linked to the AoP biotic environment. Finally, the last midpoint category is freshwater depletion caused by intensive overuse that exceeds the regeneration rate, which itself is ultimately linked to the AoP abiotic environment. Depending on the regional context, the development of scenarios aimed to compensate for the lack of water for specific uses by using backup technologies (e.g., saltwater treatment, the import of agricultural goods) can avoid generating direct impacts on the midpoint impact category freshwater deficits for human uses. Indirect impacts must be assessed through an extension of system boundaries including these backup technologies. Because freshwater is a resource with high spatial and temporal variability, the proposed framework discusses aspects of regionalization in relationship to data availability, appropriate spatial and temporal resolution, and software capacities to support calculations. The framework provides recommendations for the development of operational LCA methods for water use. It establishes the link between LCI and LCIA, water-use mechanism models, and impact pathways to environmental damages in a consistent way. Based on this framework, next steps consist of the development of operational methods for both inventory modeling and impact assessment. This research was carried out under the auspices of the UNEP-SETAC Life Cycle Initiative, which also provided logistical support and facilitated consultations with stakeholders. Many people contributed to the discussions and framework development process. The authors are grateful for the contributions of further members of the WULCA Working Group (A.P. Arena, E. Aoustin, and R. Juraske) and for the individual contributions of C. Bauer, M. Berger, R. Frischknecht, M. Huijbregts, S. Humbert, A. de Schryver, R. Van Zelm, B. Weidema, and A.M. Boulay. Finally, CIRAIG thanks its industrial partners for their financial contributions: Arcelor-Mittal, Bell Canada, Cascades, Eco Entreprises Québec/Recyc-Québec, Groupe EDF/GDF-SUEZ, Hydro-Québec, Johnson and Johnson, Le Mouvement des caisses Desjardins, Rio Tinto Alcan, RONA, SAQ, Total and Veolia Environnement.